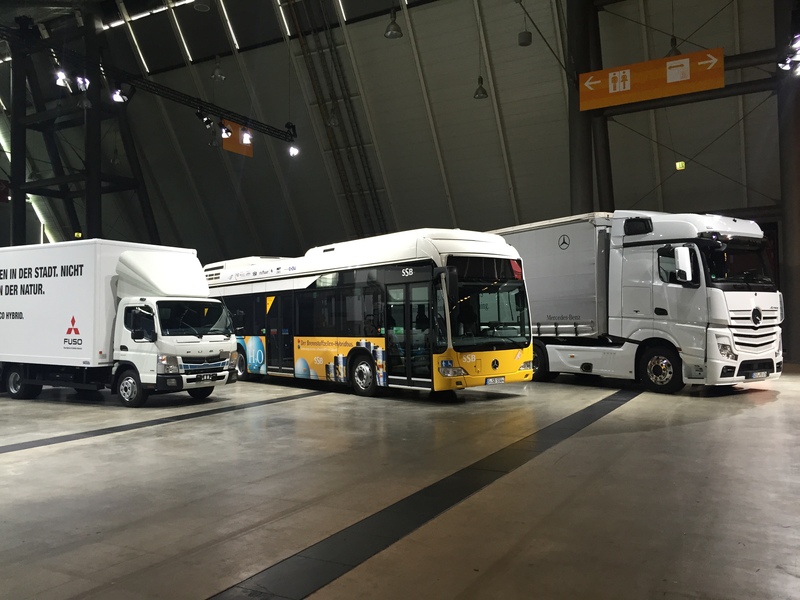 Dozens of fuel cell-powered Mercedes-Benz Citaro buses have already been proving their mettle for twelve transport operators on three continents since 2003. The next milestones on the way to the future are the Citaro E-CELL (battery-powered) and Citaro F-CELL (fuel cell-powered). Both are based on a shared e-platform, which allows tailored electromobility for any city and even any bus line. The capacity of the battery and charging technology are adjusted to suit the specific requirements. In 2018, the fuel cell powered bus will be available on the market. The forecast: By the year 2030, 70 percent of all newly acquired Citaro buses will run on electricity with zero local emissions.